In this video we will discuss, sending large binary messages in WCF using MTOM for better performance. 1. Base64 encoding bloats the message size by approximately 33%. 2. Involves additional processing overhead to base64 encode and decode. The preferred approach to send large binary messages in WCF is to use MTOM message encoding. MTOM is an interoperable standard and stands for Message Transmission Optimization Mechanism. MTOM does not base64 encode data. This also means, the additional processing overhead to base64 encode and decode data is removed. Hence, MTOM can significantly improve the overall message transfer performance. With Text Message encoding, the binary data is base64 encoded and it is embedded in the SOAP envelop. With MTOM, binary data is included as a MIME (Multipurpose Internet Mail Extensions) attachment. Step 1: Create a class library project with name = DownloadService. Delete the autogenerated class1.cs file and app.config file. 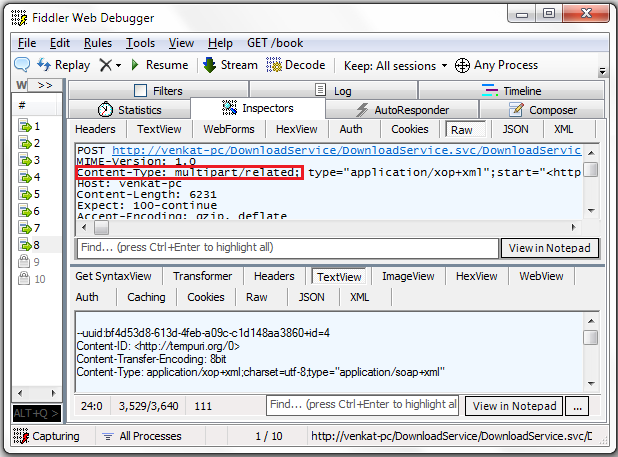 Step 2: Right click on DownloadService solution in solution explorer and add a WCF service with name = DownloadService. Step 5: Host the DownloadService in IIS. We discussed hosting WCF service in IIS in Part 29 of the WCF tutorial. Use the following configuration. Notice that at the moment we are using Text message encoding. Step 6: Create a Windows application with name = Client. Drag and drop a button control on the windows form. Double click the button control to generate the click event handler. Add a service reference to the DownloadService. Copy and paste the following code. Step 7: Run the client application and click the Download File button. We get the following error. 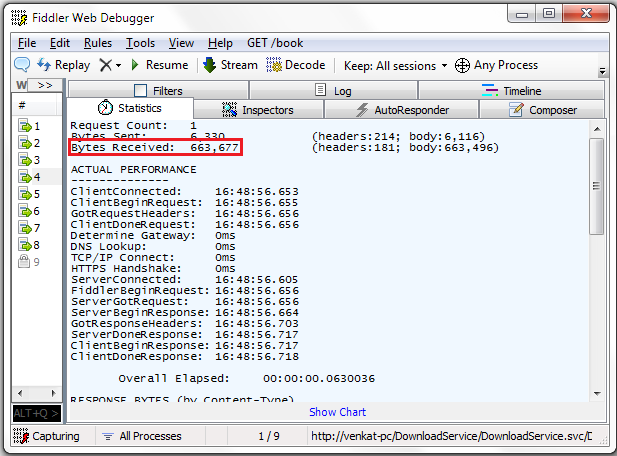 To fix this specify maxReceivedMessageSize and maxArrayLength both in the WCF service and the client. 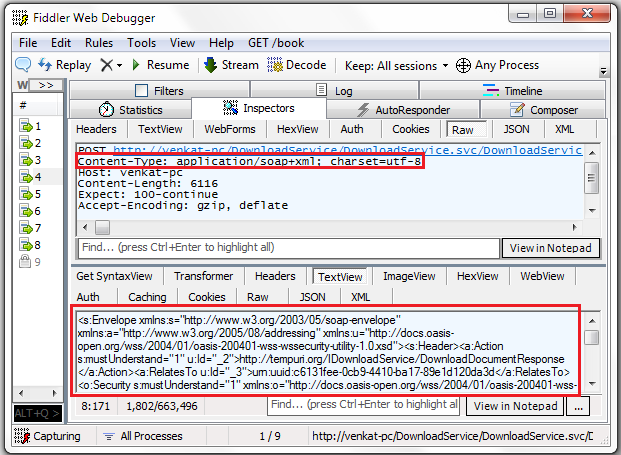 Step 8: Open Fiddler tool and notice the data that is exchanged between the client and the WCF service. Step 10: Run the client application and click Download File button. In fiddler, notice the data that is exchanged between the client and the WCF service. The bytes received with MTOM is significantly less, when compared with Text message encoding. I'm following your tutorial but I'm stuck with the IIS thing. It doesn't allow me to browse when after creating the application site. I'm using IIS 7.5. Any ideas? do not download anything, to run well!! !